If you, like the littleWren team, often need a little somethin’ somethin’ to snack on before dinnertime, we’ve got a Danish-inspired afternoon tea that’s bound to satisfy. Enter: smørrebrød. Although this handsome nourishment is usually topped with the likes of pickled herrings and things you might not have stocked in your pantry right now, we’ve put a twist on tradition and designed our own with ingredients we love. 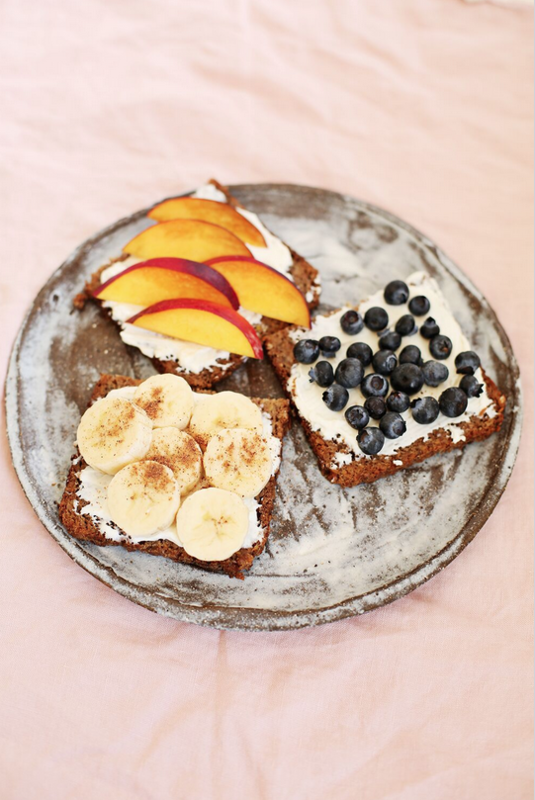 Do as the Danes do, and pile rye bread up with tasty toppings to keep you going through that backlog of assignments you’ve been meaning to attack. 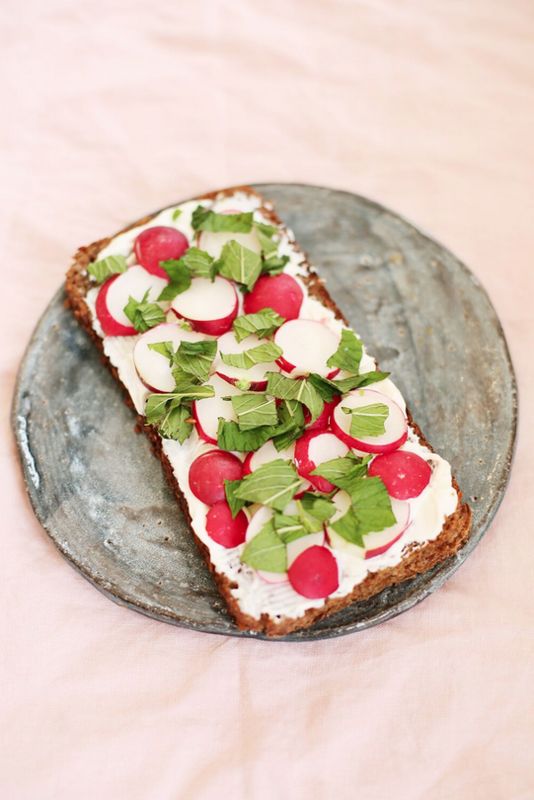 Take a piece of your rye bread (or preferred base) and spread on a generous smattering of the cream cheese (or dairy-free spread). 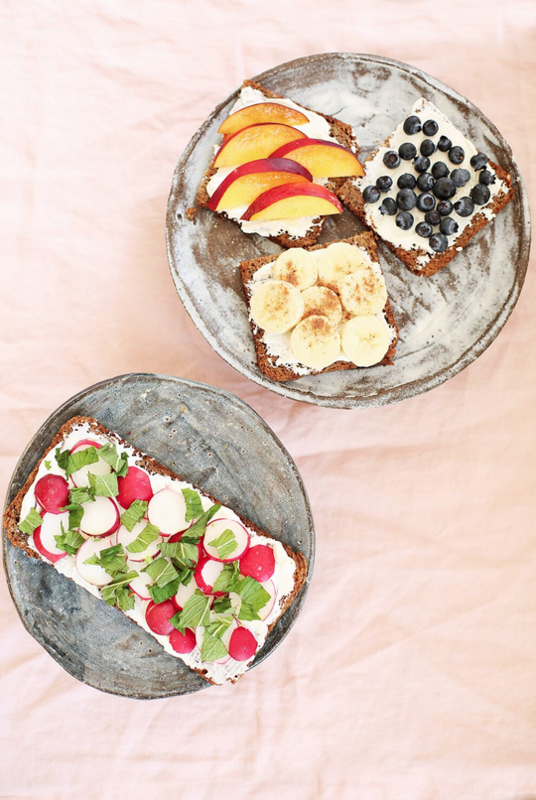 Then, use your artistic flair to create a Scandinavian work of art with your toppings: think artfully sprinkled herbs, rustically chopped radishes or vibrantly hued nectarine segments scattered with style. Set your inner food stylist free! And hey, if you make something you think looks half-appetising, share it with us on Instagram so we can salivate over your results too.